Do you have a plumbing or heating issue that needs professional attention? 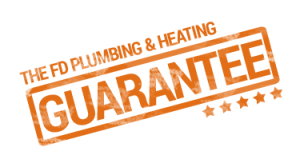 Call us on 020 7060 4770 today for fast, guaranteed plumbing and heating services. Expert help is just a phone call away. Word-of-mouth is one of the ways we’ve always gotten new customers. Our goal is to provide the highest quality plumbing and heating services and exceptional customer service for every single customer we service. Creating long lasting relationships and being trusted in the community is very important. That’s why we love the reviews section of our website. Customer feedback always provides information and an opportunity for us to see if we are performing up to our own standards. It also gives new customers a chance to see what others think, and help them get a feel for the way we conduct ourselves. Online reviews are like instant word-of-mouth, so take a few minutes and read over the comments and experiences others have had with our company. If you’re an existing customer, feel free to leave a comment of your own, and check back anytime. If your plumbing or heating system is damaged, or if it’s time for a replacement or new installation, call FD Plumbing & Heating on 020 7060 4770 in London and the surrounding areas and we will send an engineer to get the process started.